The bitcoin digital payment currency was launched in 2009 by an anonymous individual simply known under the alias 'Satoshi Nakamoto'. It started as an open source software but has grown to become a digital currency which is now used across the globe. The currency is the first decentralised cryptocurrency. Instead of a central administration, the currency relies on transactions which take place directly between peers, without the need for an intermediary management process, such as a bank. In order to verify these transactions, network nodes are recorded in a publicly accessible ledger, which is known as a blockchain. Bitcoins are created though mining, which is a reward process. The currency can then be exchanged for other services, products or even traditional currencies. The bitcoin is gradually becoming accepted by an increasing number of merchants as payment. However, the majority of bitcoin owners are holding on to the currency as an investment. The first mention of bitcoin was on 18th August 2008, when the bitcoin.org domain name was created. This was closely followed by an academic paper written by Nakamoto, which introduced bitcoin as a peer to peer electronic currency. Over the remainder of 2008 the information spread across cryptography networks and in January 2009 Nakamoto released the bitcoin open source code. The first bitcoin was purchased by Nakamoto who mined the genesis block for 50 bitcoins. Nakamoto mined a further 1 million bitcoins before disappearing - currently his identity is still unknown. Today, Gavin Andresen is the lead developer of the Bitcoin Foundation and stands as the community's public face. On 1st August 2017 the bitcoin currency was split into two digital currencies known as Bitcoin Cash (BCH) and the classic bitcoin (BTC). It is thought that there are two reasons for Nakamoto keeping his or her identity unknown. The first is for privacy, as bitcoin becomes more popular across the world it is likely the founder would be subjected to large amounts of media coverage. The second reason is safety, due to the large values of currency involved. In the first year of bitcoin mining it is estimated that around $900 million worth of bitcoins were created. During this period it is likely that Nakamoto was one of only a handful of miners, which means he would have benefited significantly. The vast amounts of money involved could make Nakamoto a target for criminals. Bitcoin is seen by many people as the first successfully implemented distributed cryptocurrency. It is based upon the idea that a currency can be any object or record that can be accepted as payment for services or goods. The bitcoin currency is designed around the use of cryptography to manage the transfer and creation of currency, instead of relying upon one central authority. This means that many people benefit from the ease of transferring funds across the internet without the reliance of a third party, which demand high transaction fees. Why are bitcoins seen as valuable? Many holders of bitcoin have purchased or invested because it is a useful currency and it is scarce. Although they are scarce, the value relies heavily on the public's confidence in the currency. As an increasing number of merchants begin to accept bitcoin, the trust increases - this means the value also rises in line with this. If you are new to bitcoin it is not essential to understand the minor technical details. Most new users start by downloading a bitcoin wallet to their computer or mobile device and create a bitcoin address. The most common way to purchase bitcoins are through the popular bitcoin exchanges, which allow you to purchase or trade for a traditional country's currency. There are also several bitcoin ATMs around various countries and a bitcoin local directory of people who will accept cash in exchange for bitcoins. A number of businesses choose to accept bitcoins as payment for their services as a way to gain their own supply of bitcoins. Many people are beginning to believe that digital currencies will increase in popularity in the future. The exchange rate between bitcoin for traditional currencies attracts many potential investors, who are interested in benefiting from currency fluctuations. Similar to all assets, the principle of purchasing while the price is low and selling when it increases applies to the bitcoin currency. Many people are purchasing bitcoin for a potential investment value rather than to use it as a form of payment. 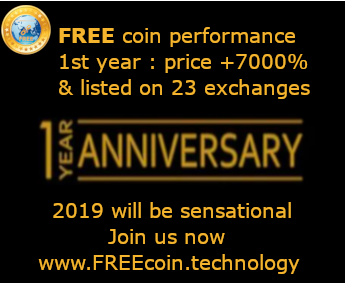 This is due to the large rises of value in May 2011 and again in November 2013; investors are hoping that large rises will happen again in the near future. What are the denominations of the bitcoin currency? Bitcoins are different to other currencies as they are highly divisible. As bitcoin is decentralised there is no official organisation to set and name the specific denominations. This has led to a number of names being created for the many smaller units, which are increasing in trade popularity. The most widely used units are bitcoins, bits and also satoshi. Using this system, 1 bitcoin is equal to 1000000.00 bits, with 1 bit equal to 100000000 satoshi. A single satoshi is usually abbreviated to 'sat' and is the smallest unit in circulation within the bitcoin network. Bitcoin transactions are defined by inputs and outputs. A bitcoin owner sends an output of bitcoins to a designated address, with the input referring to the owner's unspent amount of currency within the blockchain. This works in a similar way to common cash transactions, with multiple inputs similar to multiple coins. If change is required from the exchange this is sent as an additional output back to the original sender. The transaction fee is based on the data storage size needed for the transaction to be generated and also on the demands of the network at that given time. This varies according to the number of inputs needed and also the age of the unspent inputs. The transaction fee is paid to the first bitcoin minor, which mines the block relevant to that specific transaction. It is not a good idea to pay a fixed fee for a transaction as there will be several considerations to take into account during the actual transaction processing period. If your bitcoin wallet estimates a high fee it is probably because your wallet contains a number of small coins, which means a higher number of inputs will be needed for the transaction. How does bitcoin ownership work? Bitcoins are registered to individual bitcoin addresses, which are known as random private keys. To spend bitcoins the owner must be able to enter their private key and digitally sign for the transaction. The bitcoin network will then verify the transaction through the signature and the public key. If an owner loses their private key there is no way to recover it, this means that any currency owned will be lost and become inaccessible. There has been a number of high profile cases where holders of bitcoins have lost large sums of money because they have lost their private keys. Mining is a service which holds the records of a bitcoin transaction, with miners being the people that verify transactions and ensure the blockchain is accurate. The miners collect new transactions into blocks, with each block containing a cryptographic hash of the last block. The system uses the widely known SHA-256 hashing algorithm. The chain uses a proof of work system which makes it almost impossible to modify block information. The proof of work system requires the miners to discover a number known as a nonce - they are then rewarded. How are bitcoins supplied and held? When a miner successfully finds the next block they are rewarded with newly created bitcoins. For a miner to claim their reward a coinbase transaction is carried out, which is then included alongside the processed payments. All of the bitcoins which are in circulation have been created through this method. Every time 210,000 new blocks have been created the reward for mining a block is halved. Eventually a limit of 21 million bitcoins will be reached by roughly 2140, at this point there will be no reward for mining new blocks. A digital wallet is used to store the bitcoins' credentials, although several types of wallets are used. A software wallet is the most commonly used and allows users to spend bitcoins and also hold the credentials to prove they are the owners of the currency. There are also online only wallets and physical wallets which allow the holder to spend their bitcoins offline. The blockchain is a publicly accessible ledger which is used to openly record bitcoin transactions. The blockchain is updated through a network of intercommunicating nodes which all run the bitcoin software. The network nodes validate transactions which are then applied to their blockchain ledger. A new block of transactions is added to the blockchain roughly 6 times per hour, and this information is then sent to all network nodes. Will more blocks be created when no more currency is generated? Although it is predicted that the last block in the blockchain will be created in roughly 2040, the use of transaction fees will mean new blocks are still valuable to miners. It is predicted that creating new blocks will become more valuable from the fees than the current creation of coins. This means that the transaction fees will be able to sustain the currency and its associated network. There is no limit to the number of blocks which are able to be mined. The bitcoin currency is based on the economic laws of supply and demand. If a user loses some of the bitcoin currency, this will make the remaining currency in the network more valuable as a form of compensation. As the value of a single bitcoin starts to increase the cost of purchasing a service or item will then decrease, based on the popular deflationary economic model. This means bitcoins are not as susceptible to inflation as other traditional currencies. Bitcoin suffers from price volatility similar to all commodities and currencies. It is estimated that bitcoin has a volatility seven times greater than gold and roughly 18 times higher than the US dollar. The largest period of volatility occurred in 2011 when the value of a bitcoin rose rapidly from $0.30 to $32 before quickly decreasing to $2. How do tax regulations work? As bitcoin works without a centralised processing system it is impossible to enforce any specific restrictions, although certain activities can still be criminalised. Each country has its own legal status regarding the use of bitcoins, although many have yet to define or tackle the rules which govern its use. There are countries which allow the use of bitcoins and offer completely free trade, on the other hand some have completely banned the currency. The regulations which apply to bitcoin are not unusual, and extend to most cryptocurrency systems. What if a new digital currency becomes more popular? There is always a chance with virtual currencies that another could be created, and this would make an older and less superior one obsolete. During the development of bitcoin a large amount of careful ingenuity has been used. However, it is the first currency of its kind and so competitors will always be looking to take over. Bitcoin aims to stay ahead as the primary virtual currency, but as with all currencies there can be no complete guarantees. As bitcoin rises in popularity and becomes more widely used it is gaining stability and wide acceptance across the world. This helps protect the currency and means new competitors pose little effect, thanks to the network effect bitcoin is creating.